Get the best deal! 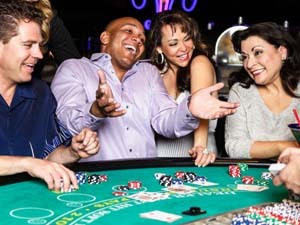 All Star Casino Poker Room has 5 tables offering Texas Hold'em. 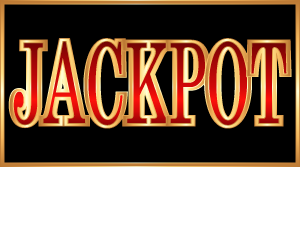 Bump up your winnings with daily high hand contests and bonus jackpots. Get in on the action today! Qualify now for your chance to win thousands of dollars in prizes! Check out the Poker schedule below. There’s always exciting tournament action at All Star Casino. No tournaments are currently scheduled. Please check back periodically as the tournament schedule changes. As the number of live games grows throughout the month, so will the payout! Join the many players who have walked away with cash in their hands. 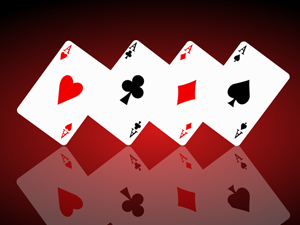 Every evening cash is paid for the player making the highest hand. 11 p.m. - 2 a.m.
*To qualify, you must have 2 cards in your hand. 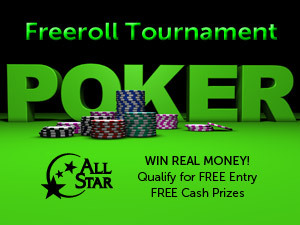 All Star Casino's monthly Freeroll Tournament offers some of the largest prize pools in Washington State. As the number of live games grows, so will the payout! The first Saturday of every month is "Freeroll Saturday." Accumulate enough live play hours and you could have a chance to win thousands in this qualified-entry poker tournament. As the number of live games grows throughout the month, so will the payout. Get your game on now! Have a seat at one of table games and try your hand at exciting Vegas-style card games. © All Star Lanes & Casino. All Rights Reserved.